For the first time, the possibility exists for ships to navigate the world with no person on board. Unmanned vessels promise safer and less costly navigation at sea. However, arguments have been made that electronically operated devices may malfunction or be defective and that the cost-savings they operate may be offset by the cost of acquiring new sensors and operating systems. Automation in shipping will inevitably bring change in the rules governing shipping. At present, the International Maritime Organisation has added automation in shipping on its agenda for deliberation. The present study examines key Canadian legal concepts and provisions – likely to be present in the laws of other maritime states – that will be affected by the presence of unmanned vessels. 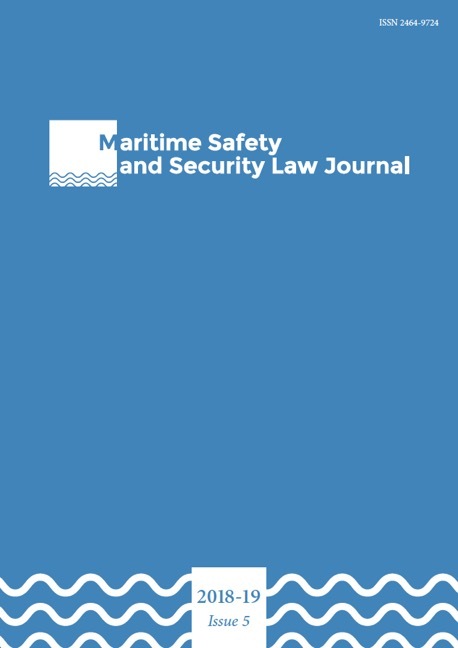 Domestic regulatory definitions of the terms ‘vessel’, ‘master’, ‘pilotage’, ‘seaworthiness’ (‘crew’, ‘seafarer’, ‘manning’), are examined in an effort to explore whether or to what extent applicable domestic rules need to be revisited. The author suggests that precisions and/or modifications should be made to the meaning of the above-mentioned terms in order to address the new unmanned vessel reality.